Violet Krom Completes Course "Planning for Retirement Needs"
(PRLEAP.COM) May 21, 2015 - Asset Management Group is pleased to announce that Violet Krom, RP has successfully passed the course "Planning for Retirement Needs", her third course towards completion of the Certified Financial Planner Curriculum (CFP®). The course focuses on selecting the right retirement plan for the business and on individual retirement planning. Additionally, it covers qualified plans, SEPs, SIMPLEs and 403(b) plans and nonqualified deferred compensation plans. Emphasis is placed on the practical knowledge needed for choosing the best retirement plan, especially for the small business, and designing a plan that will meet a client's needs. The course also covers individual retirement planning including IRAs and Roth IRAs, Social Security benefits, saving for retirement and planning for retirement plan distributions. A resident of Stamford, Violet is an Executive Director and Registered Paraplanner with the firm. 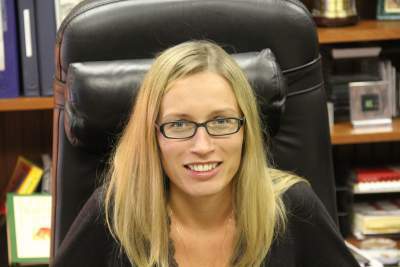 She is licensed to provide guidance to the firm's clients in the areas of life, disability and health insurance. In addition to her management functions, she assists in the preparation and implementation of the firm's client's financial plans. Her interests include architecture, mastering English slang, travel and shoes.